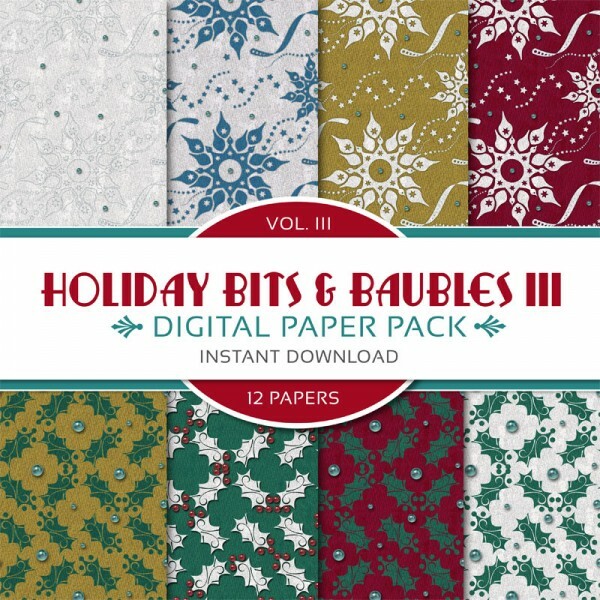 Let the sleigh bells ring in the holidays with Holiday Bits & Baubles Digital Paper Pack Volume II. 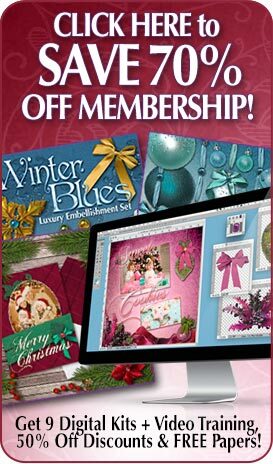 Categories: Christmas Collection, Christmas Content Bundle Products, Digital Scrapbook Kits, Digital Scrapbook Papers, Holiday Collection. 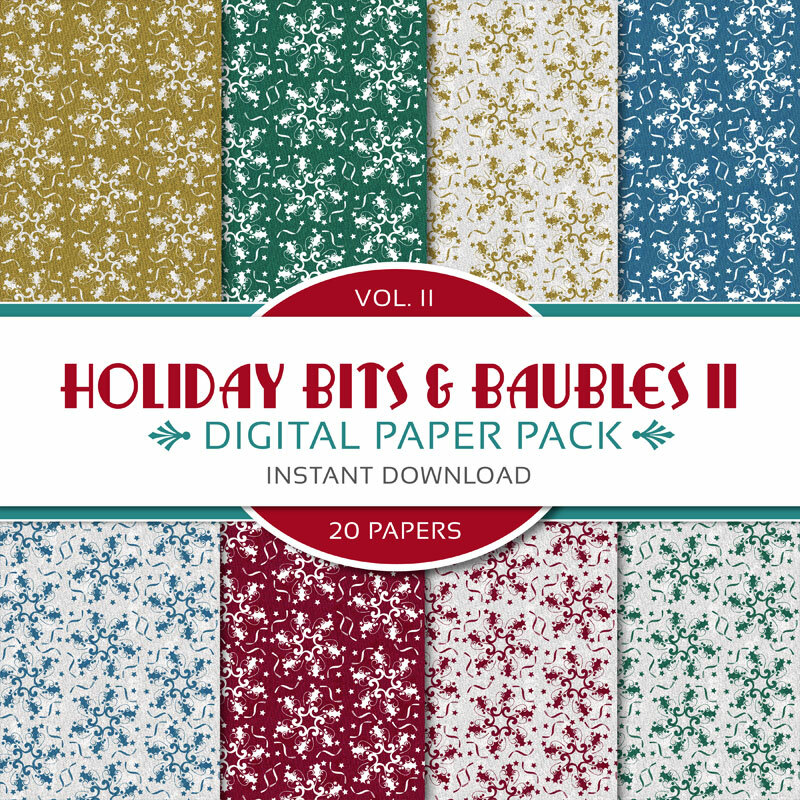 Tags: Christmas, Digital Paper Pack, Holiday, Holly, Scrapbook Paper, Snowflakes, Winter. 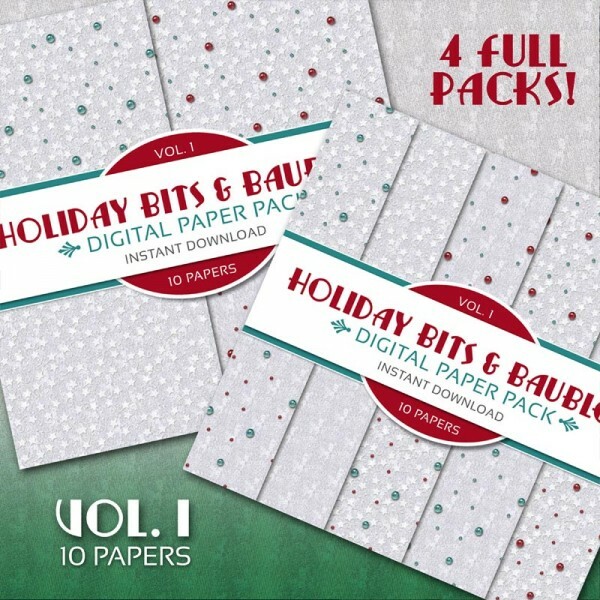 The second in a 4 part collection, this holiday paper pack is brimming with 20 decorative icy snowflakes, silver and jeweled ornamental accents, solids and stripes. 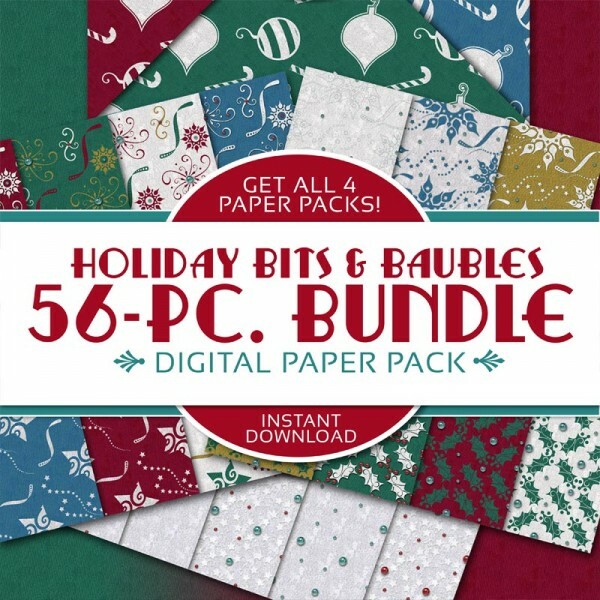 Bring holiday cheer to any scrapbook or project with this vibrant and festive paper pack. 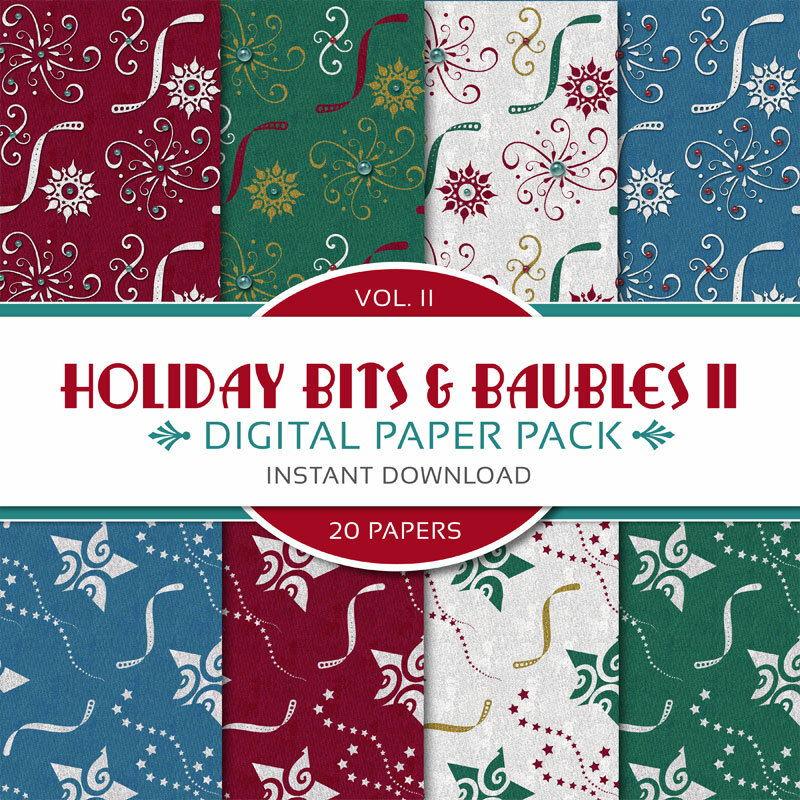 See ALL 4 Bit & Baubles Packs or get the 4-Pack Bundle!